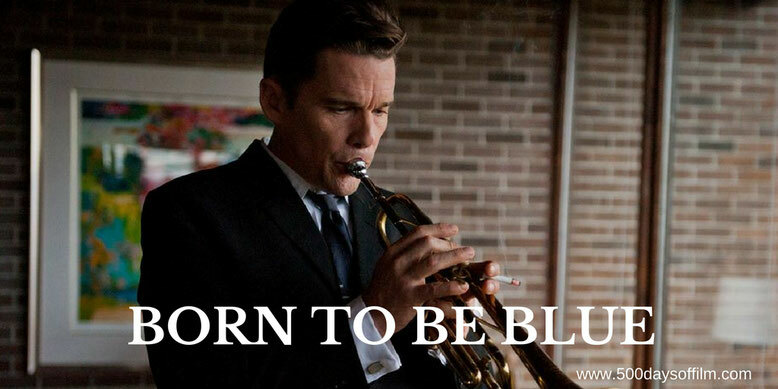 In the 1950s, Chet Baker (Ethan Hawke) was one of the most famous trumpeters in the world, renowned as both a pioneer of the West Coast jazz scene and an icon of cool. However, by the 1960s, he was all but washed up, his career and personal life in shambles due to years of heroin addiction. Quietly and often just under the radar, Ethan Hawke is producing some of the best work of his career. Having recently loved his wonderful performance in Aisling Walsh’s Maudie, I was even more impressed by his depiction of Chet Baker in Born To Be Blue. Robert Budreau’s melancholy film blends fact with fiction and delivers a gripping story. The movie also has a refreshing narrative structure. Instead of presenting Baker’s life in a traditional (by the numbers) bio-pic fashion, Budreau asks us to participate in his movie and piece the musician’s life together. And what a story this is - thanks to Hawke’s brilliant portrayal, we understand what a talented musician Baker was and, despite his faults, why he was beloved by many. We also understand how, plagued by his demons, Baker became addicted to heroin - an addiction that threatened his relationships, his career and his life. Hawke studied the trumpet for months, watched hours of Chet Baked related YouTube videos and also took singing lessons to prepare for his role in Born To Be Blue. His commitment has certainly paid off. Full disclosure, I am not a Chet Baker fan and you could write what I know about the trumpet on a postage stamp. However, to my untrained ear, the music scenes felt authentic. They are mournfully beautiful. Afterwards, I was inspired to seek out more of Baker’s music and read about his remarkable life. Robert Budreau’s film also left me with a sense of sadness that a man so wonderfully talented had to live his life in so much pain. Have you seen Born To Be Blue? If you have, what did you think of this film? Let me know in the comments section below or over on Facebook or Twitter (@500DaysOfFilm).